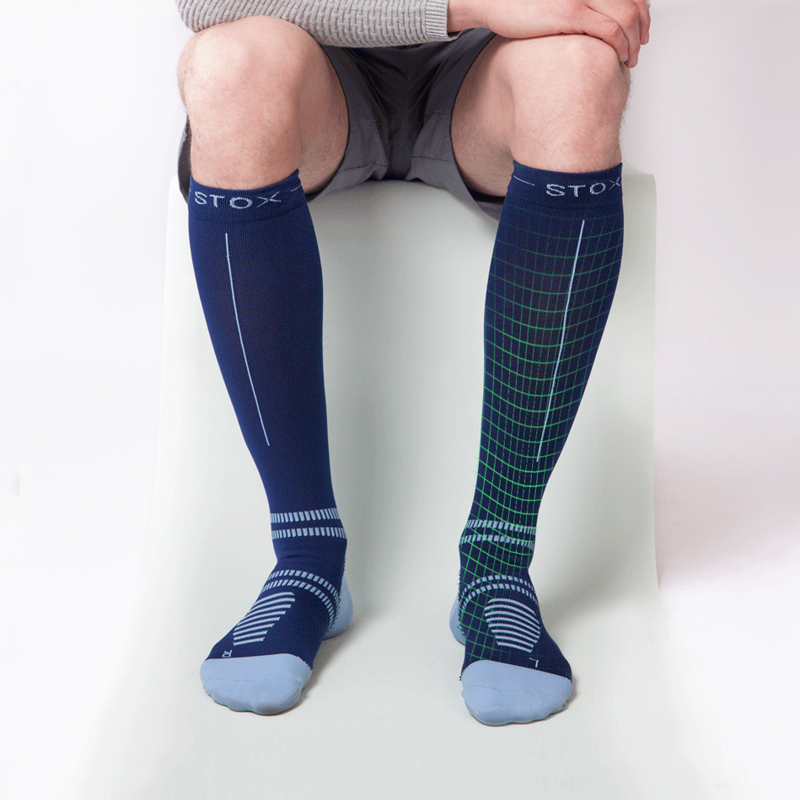 STOX Energy Socks stimulate the blood circulation in the legs and provide maximum oxygen-capacity of the muscles. This is due to the graduated compression that is integrated into all the socks. Basically it comes down to this: because of gravity, blood and fluid flow to the feet. The body needs all the help it can get to let it flow upwards again. The highest pressure (compression) is at the ankle and gradually decreases until it finally performs the least pressure just under the knee, causing blood to be "pushed" back up. In this way, an optimal blood circulation is achieved which prevents leg fatigue and muscle pain. Together with a team of vascular surgeons the correct graduated compression is implemented in all STOX Energy Socks, achieving the right results. The compression and the pressure gradient are very accurately tested by the Swiss compression testing machines of the Salzmann Group. The test equipment of the Salzmann Group is internationally recognized as the most accurate compression pressure measurement system. 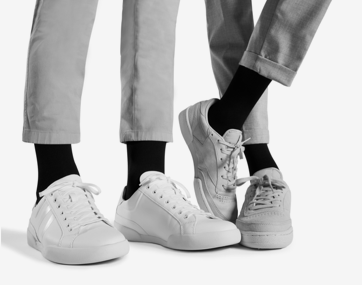 STOX Energy Socks are made of the most innovative and high-quality materials such as Milk Fiber, Merino wool and the so-called ‘Moisture Wicking Fabrics’. Milk Fiber moisturizes the skin and is bacteriostatic. Moisture Wicking Fabrics are wicking fabrics that are more breathable than natural fabrics like cotton and wool. To ensure the best pressure gradient and the highest quality, STOX Energy Socks are made on highly advanced medical equipment. Implementing graduated compression is made possible through the so-called circular knitting technology of these machines. The preventive effect of compression socks has been shown in several scientific studies. For example, 93% of runners experienced muscle soreness after a run of 10 kilometres with traditional running socks, while this was only 14% with the runners who wore sports compression socks 1. Flight passengers also reported positive results. After a 5-hour flight 60% of travellers who wore compression stockings experienced less pain and 45% experienced less swollen legs and feet 2. For people with a standing profession, the socks are also a godsend. A large part of the nursing staff experienced less pain (84%) and less swelling of the legs (74%) during work by wearing compression socks 3.